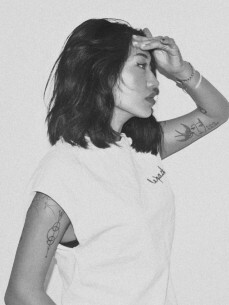 Born & raised in South Korea and now residing in Berlin following several years studying in London, Peggy Gou made her recording debut in January 2016 on Radio Slave's Rekids label with 'The Art of War Part 1', featuring a remix from Galcher Lustwerk (White Material, Lustwerk Music). With a diverse range of inspriations including J Dilla, Patrick Cowley, Yellow Magic Orchestra and DJ Sotofett, her productions immediately garnered attention for the maturity of their sound coupled with an uncanny ability to create instantly accessible dancefloor records. She soon followed that first release with the 'Day Before Yesterday' / 'Six-O-Six' 12" for Phonica White - the vinyl-only label of the internationally-reknowned London record store - before returning to Rekids for the 'Art of War Part 2' EP, this time with a remix from L.I.E.S. regular Terekke. During this period her DJ bookings skyrocketed, with a debut at Berlin institution Berghain, a support slot for Moodymann at his DJ-Kicks album launch, and gigs alongside The Black Madonna, Jackmaster and DJ Koze before the end of the year. After a busy summer of touring, Peggy announced her fourth EP, this time on Ninja Tune's house & techno imprint Technicolour. 'Seek For Maktoop' cemented her position as one of electronic music's hottest new stars, with enthusiastic support from international media including The Guardian, Resident Advisor, Mixmag, FACT, i-D, Thump and Dummy, plus heavy airplay support at BBC Radio 1.